We are the leading manufacturer of Four Point Suspension Centrifuge. Ranjana Orgo Chem. and its group companies (Samira Orgo Chem and Samira Eng Works). We have been operational in the field since around twenty years and are one of the leading buyer & sellers of used and surplus machinery and equipments and also fabricators of brand new machinery, plants & equipments in the chemical and pharmaceutical industries in India like Industrial Reactor, Industrial Multi Mill, Industrial Dryer, Industrial Centrifuge, Chilling Plant, Industrial Filter, Heat Exchanger, Industrial Condenser, Laval Separator, Rapid Mixer Granulator, Ribbon Blender, Wiped Film Evaporator and Fabricated Industrial Product. These equipments are best in working and very durable in frame. Also these are widely demanded in chemical, biochemical and agrochemical industries. Perfect usage of the all raw components in the equipments meets to the global norms and parameters. Easy to install in different production and testing sections, all our pharmaceutical equipments have longer shelf life and complete voice and vibration less working. None of our supplied machine and solar system has any defect. 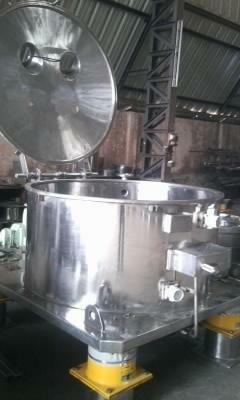 Moreover to it our firm is also involved in refurbishing of machineries and buying & selling of entire plant.